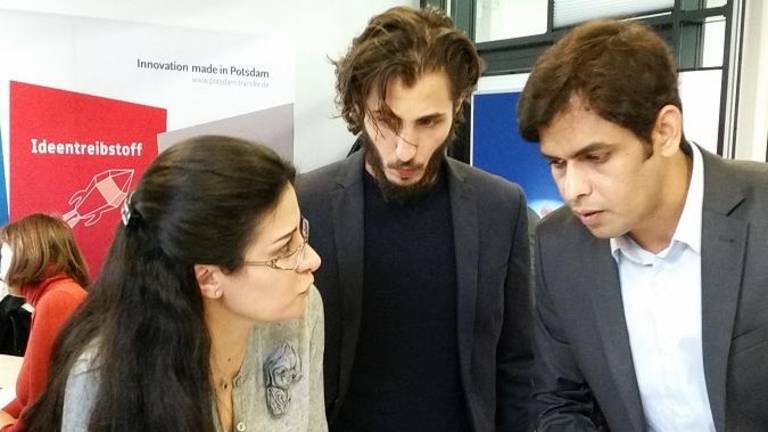 As the private, non-profit knowledge transfer firm of the University of Potsdam, we offer postgraduate University degrees and customized executive training courses as well as consultancy services for the public and private sector. Designed to meet the demand for appropriately trained managerial staff, UP Transfer Executive Education offers accredited postgraduate master programs such as MPM and MEGA for public and MBA for private sector professionals. Besides these science-based, practice-oriented degree programs, we offer also in-service training, customized training courses and coaching as well as projects with a focus on demographic change and the securing of skilled workers and management staff. A further key field of our expertise is personnel administration and human resource management. Programs are coordinated and operated by the functional areas "Public Policy and Management", "Business Management " and "Human Resource Development ". With our executive programs, we transfer the University's expertise world of practice and complement the range of educational study programs courses offered by the University of Potsdam. Part- time Master's Degree in Business Administration. The main language of tuitition is German. The modules of the Master of Business Administration extra-curricular study program can also be booked individually. A certificate course for students from China in preparation for an exchange semester at the University of Potsdam. The Negotiation Academy Potsdam provides professionals and executives with tools for successful sales management in the form of seminars (including in-house), coaching and educational literacy. Here you find details to Master of Public Management (MPM). Here you find details to Master of European Gouvernance and Administration (MEGA).